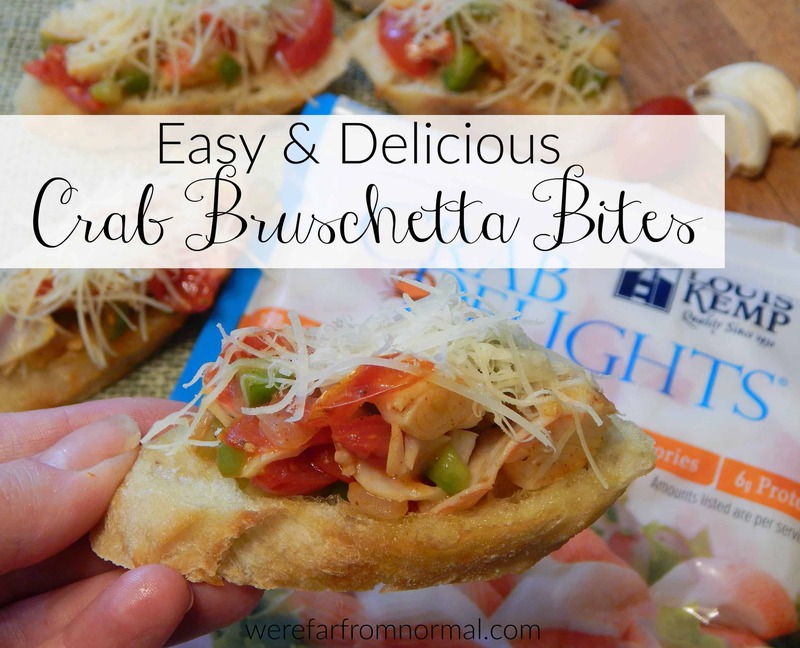 Home » Crab Bruschetta Bites – Easy & Delicious! These crab bruschetta bites are the perfect appetizer for your holiday parties! They are easy to make and full of delicious flavor! Woohoo! The holidays are in full swing! How packed is your calendar over the next couple weeks? I love all the get togethers, parties, and family time that the holidays offer and all the delicious flavors that come with them! I mean really who doesn’t love a spread of amazing holiday food?? Here’s the thing though, we’re all busy, most of us don’t have a ton of time to spend putting together intricate dishes that are time-consuming and complicated! Often the simple combinations of favorite ingredients are the best and the appetizers, meals and desserts that come together in no time are amazing! I have for you today one of those recipes, one that is simple, delicious, comes together quickly and it will be a total hit at any party!! 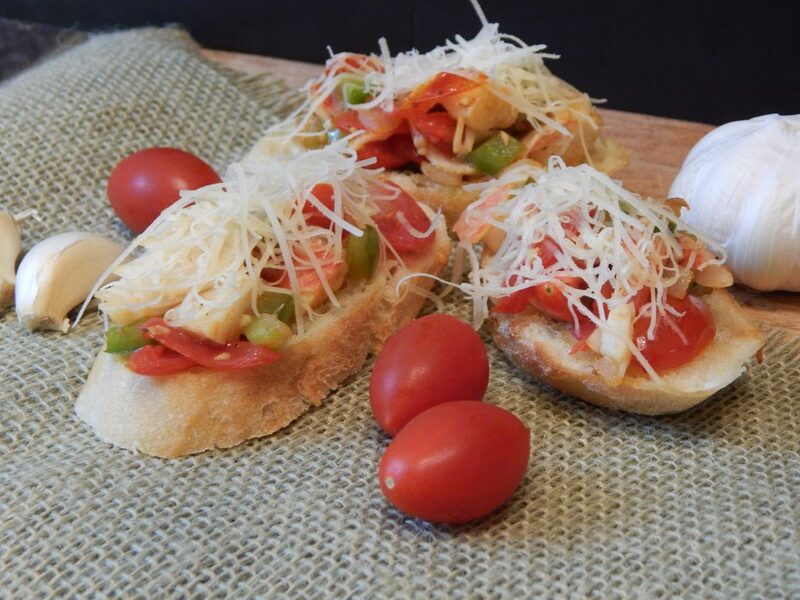 These crab bruschetta bites combine all the deliciousness of bruschetta with tasty Louis Kemp® Crab Delights® Flake Style to create a delicious appetizer that everyone will love! Crab Delights are made with premium Wild Alaskan Pollock fillets, are a great source of protein and are naturally low in calories, which makes this dish even better! 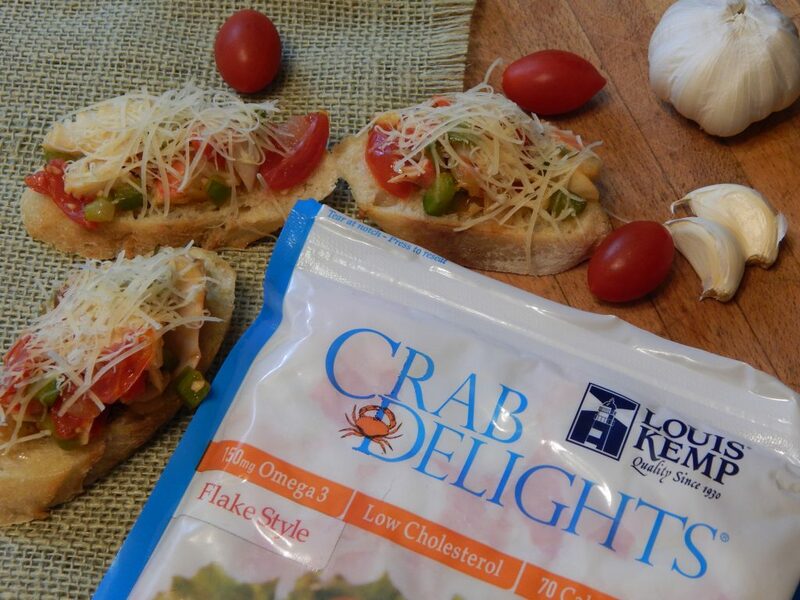 Right now you can get $1.00 off your purchase of Crab Delights! I bought mine at my local Wal-Mart, you can find a store near you on the Louis Kemp website! The first thing you’ll want to do is chop all your veggies! 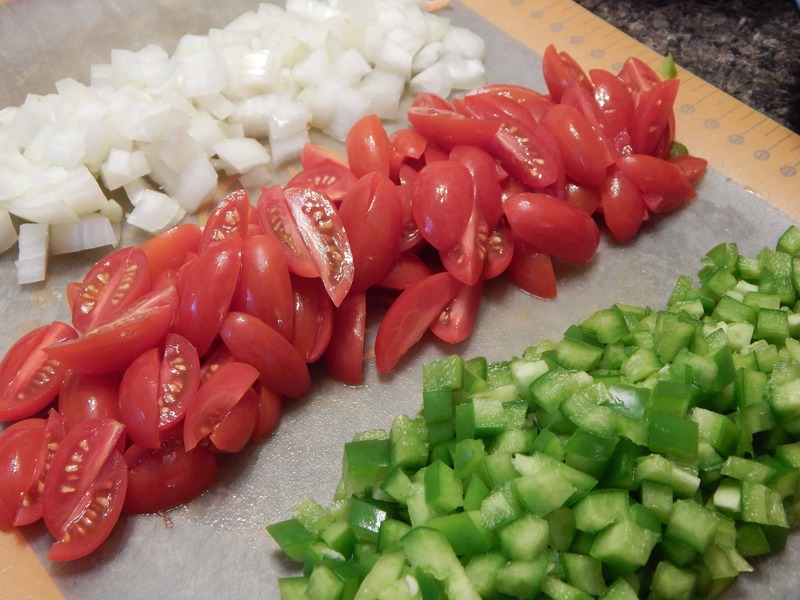 Dice your onion and green pepper into very small pieces and chop your grape tomatoes into fourths. Roughly chop your Crab Delights into small bite size pieces. 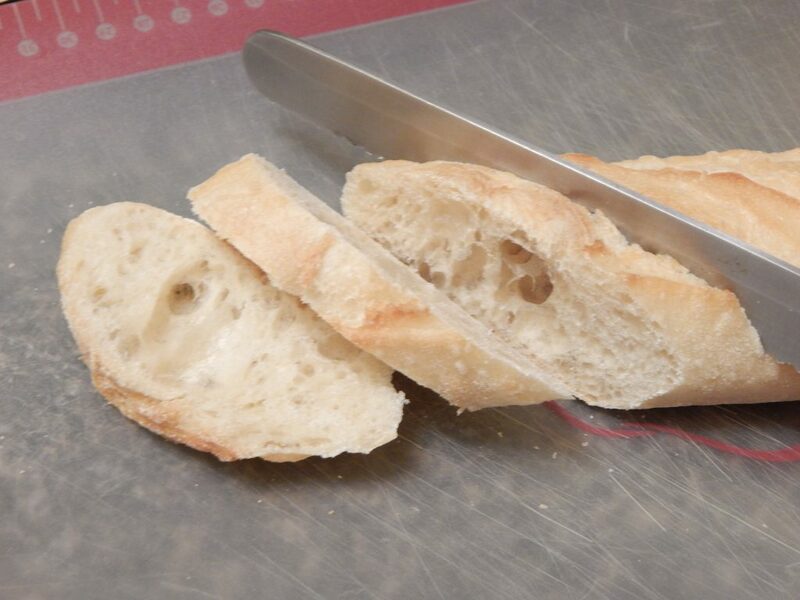 Next slice your baguette diagonally to create nice oval slices. Spread them on a cookie sheet. In a small microwaveable bowl or ramekin combine 3 Tbsp. olive oil and 1 tsp. minced garlic. Microwave on high for 1 minute. This infuses your olive oil with the garlic flavor! Now brush your baguette slices with the olive oil. Pop the baguette slices in the oven for 5 minutes to toast them up a bit. While they’re toasting heat the rest of your olive oil (3 Tbsp) in a large skillet, add your other tsp. of minced garlic and diced onion. Cook them over medium heat for about 10 minutes or until nicely softened. Next add in your green pepper and continue cooking about 5 more minutes. Then add in your tomatoes and cook another 3-5 minutes. Now add in your Louis Kemp Crab Delight and seafood seasoning, and stir until everything is well mixed and heated through. Gently spoon the veggie mixture onto the top of each slice of baguette and then sprinkle with the grated Parmesan cheese. Pop them back in the oven for about 7-10 minutes or until the cheese is melted. They are ready to serve! They are best served warm. You can make the topping ahead of time and then top the baguette and heat right before serving! 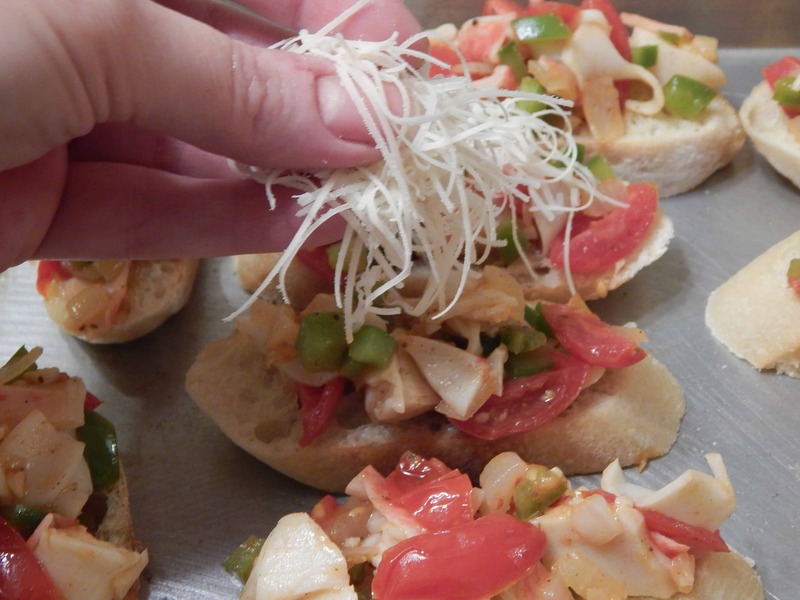 These crab bruschetta bites are guaranteed to please all your holiday guests!! 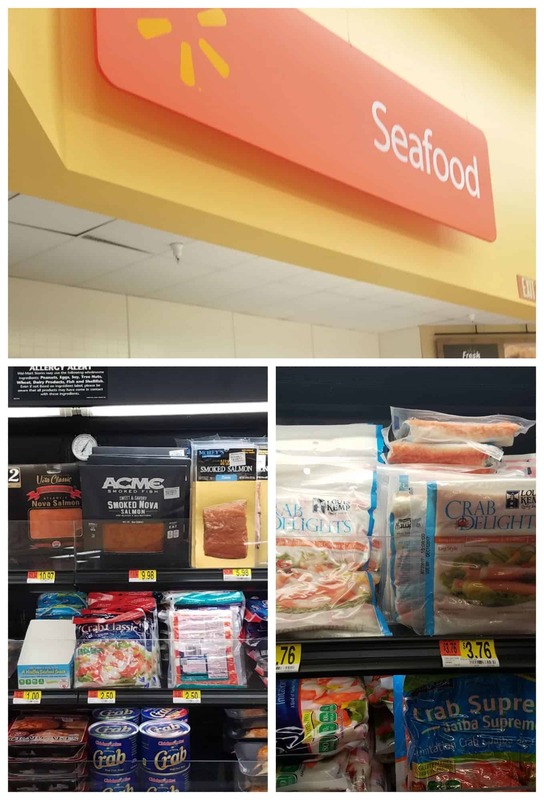 Make sure to pick up a few packages of Crab Delights, they’re great for so many recipes! !